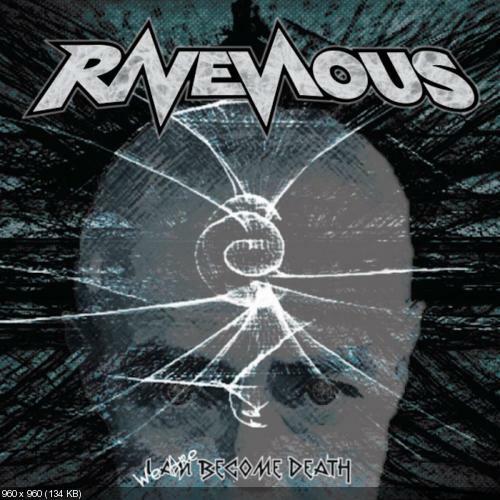 Ravenous is a Thrash Metal band hailing from Southampton, United Kingdom. Their debut record 'We Are Become Record' was released on Coffee Jingle Records on 16th February 2013. Recently the metal community has seen a resurgence of the thrash metal scene or the re-thrash scene as it is popularly known. Majority of the bands in this scene, seem to suffer from a single fault, that they lack originality. They tend to imitate successful thrash bands from the 80s. However there are a few bands that shine through. Ravenous is band that seems to be on the fence. They are influenced by bands like Metallica, Pantera and Megadeth to name a few. Some songs, bring out their originality and they manage to create a sound for themselves. But in other songs, they had me wondering if I was listening to a Metallica cover band. They mix it up with fast thrashy songs and heavy slower songs. They have a bit of crossover influence, indicated by a few breakdowns scattered here and there. The element that shines, is the masterfully crafted guitar solos. Every song boasts a solo that sounds like it is being played by a seasoned veteran. There is not a single track that clocks in less than 5 minutes. For most part, the band keeps the listener hooked throughout the length of the song. However, there are a few songs that overstay their welcome. In songs like 'Easter Island (We Are Become Death)', 'Alone' and 'The Architect', the vocalist sounds exactly like James Hetfield of Metallica. That seems to be the only problem with this record. It would be great to see these guys find their sound and stick to it. Other the above mentioned shortcomings, this is a wonderful debut thrash album.